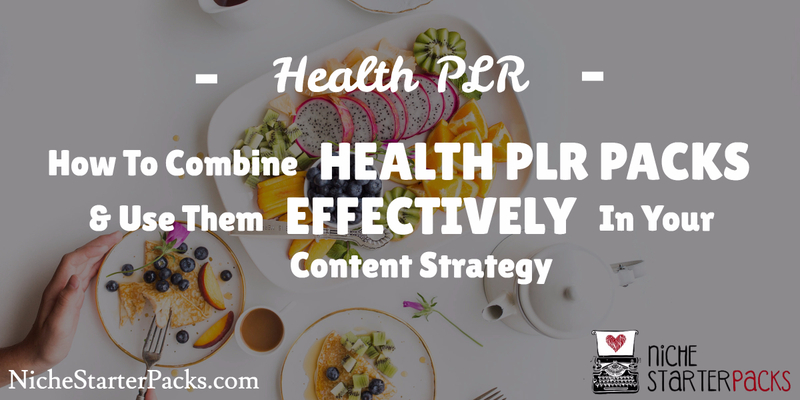 Have you ever found PLR packs that look really great as separate pieces, but you can’t quite figure out how to combine them and create anything that you’d use on your site and in your content strategy? Well you’re not alone. Sometimes it is hard to imagine how to make all of the different PLR packs work for you and your business. Most of these PLR packs are from Sue’s store at Buy PLR Today, but you’ll also find one at my store here on Niche Starter Packs (Water Challenge). Now you’re probably looking at that and thinking how in the world can I combine those. Let me show you. I’ll show you a quick way to use it. The first step that you’ll need to do is create an opt in report with the Fruit Infused Water Pack. This already has a report with an eCover that you can use. All you need to do is set up the opt in and download page for your audience to get the product. Once you’ve got them on your list, start off by sending them the water challenge days. They will find this information helpful. Include the recipes inside the email series and then you can also send them an attachment of the recipe cards that is included in the Fruit Infused Water Pack. After you’ve set up your email autoresponder series add the blog posts from The Healthy Way to Lose 10 Pounds. I would incorporate each blog post into the email autoresponder series so that you can get traffic back to your site and engagement them there. You would do that by taking each email day series and referring it to the blog post by including a link. Just remember you want to create Step 2 and Step 3 to work in conjunction with each other, so they will be done at the same time. NINJA PLR TIP: I would also post the product review videos that are included in the Fruit Infused Water Pack and link to these in either the emails or the blog posts. Once the Water Challenge was complete, I would already have the Nutrition Fitness 7 part email series that is provided with Nutrition Fitness PLR Pack and make it start immediately. Don’t forget to go into each of these emails and make sure that they provide the benefits or the product that you want them to buy. Who is the product good for? How will they be able to use the product? Answering these questions will help you sell the product. While they are getting these emails. You can set up your product sales page for the Nutrition Fitness PLR on your store (WooCommerce Plugin is free). The Nutrition Fitness PLR Pack already has the sales page copy written for you, so use that to help you. You can either use the copy as is or add more to it. Just make sure that if you are including everything I have suggested above that the sales copy address each of these or you’ll have to come up with a little copy by yourself. Or you could use the Easy Sales Page plugin that Sue provides in the pack and set up a separate sales page within WordPress. Find a shopping cart to use such as JVZoo, EJunkie or Clickbank. You can also go into PayPal and use their buy button instead of one of the shopping carts above. Add images to the two eBooks in the Nutrition Fitness PLR Pack. You can find Royalty Free images on Pixabay. You can use one as the front end offer and the second as an upsell or cross sell or you could find a complementary PLR product or two and put those in your funnel. If you’re helping women here is a pack that would go nicely with this one from JR Lang – Women’s Health & Fitness PLR or if you’re helping men JR has one for them as well Men’s Health PLR. .
Vlog Challenge Day 3 - How Extensive Should You Change Your PLR?